To make the chai marble mixture, place the chai tea, flour, sugar, butter and mixed spice in a small bowl and rub together with your fingers until it resembles breadcrumbs. Set aside. Place the flour, sugar, eggs, milk and butter in a large bowl and whisk until smooth. Add the marble mixture and, using a palette knife, gently swirl through. 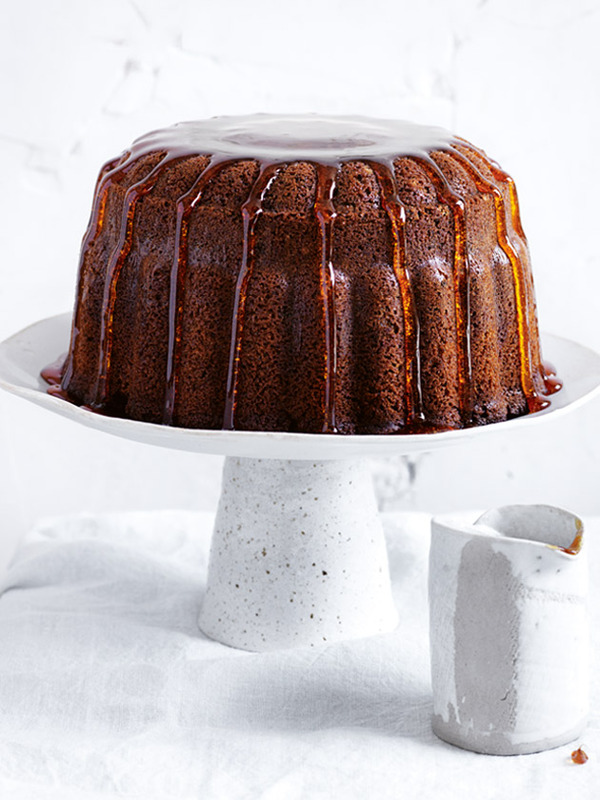 Pour the mixture into a well-greased 3-litre bundt tin. Place on a baking tray and cook for 1 hour 15 minutes or until cooked when tested with a skewer. Turn out onto a wire rack and allow to cool for 10 minutes in the tin. Gently remove the tin and allow the cake to cool slightly. Drizzle with warm maple syrup to serve. Serves 8–10.